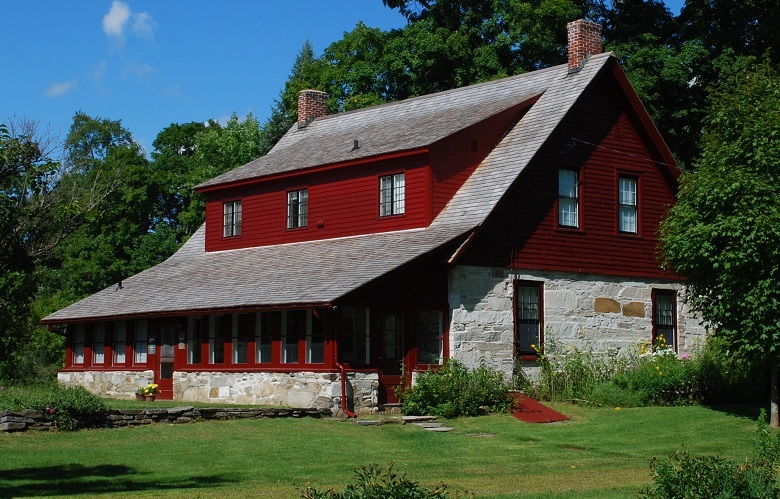 The Robert Frost Stone House Museum in South Shaftsbury, Vermont. What does it mean, in the end? girls reach to with a hand? when inhabitants gather round a bandshell. and made alive in a nervous pace. and finish their ice cream. as it stands plain on table and catches summer sweat. As many of us continue to walk through snow, be there woods or not, we are reminded by Charles' poem that today — March 26 — is the birthday of the poet Robert Frost. A winner on four occasions of the Pulitzer Prize, Frost was first honored for his 1924 collection, New Hampshire: A Poem With Notes and Grace Notes which contains his best known poem, Stopping by Woods on a Snowy Evening. Frost wrote the poem on a hot summer morning — after writing through the night — at his house in Shaftsbury, Vermont. Robert Frost is the latest installment in the serialization of Charles' 2011 volume of poetry The Chapbook (Curbside Splendor). Part of a year-long journey, we share and explore Charles' other passion — his poetry — with you, our readers, twice monthly.